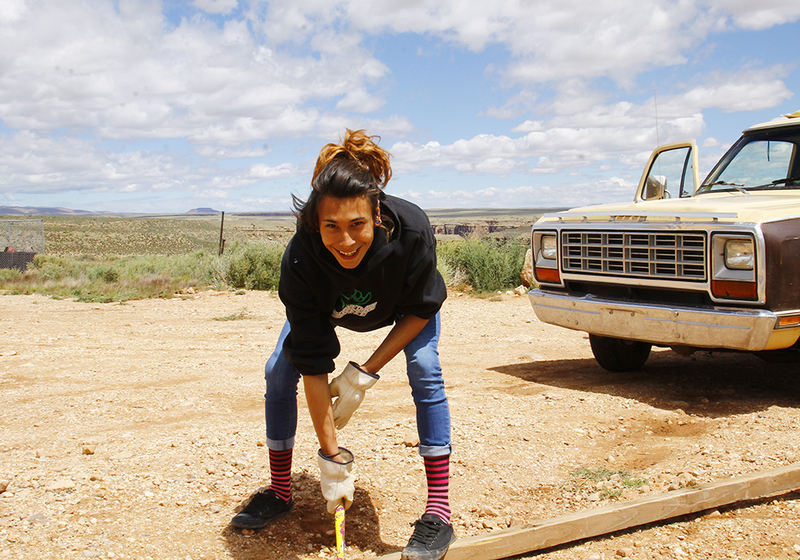 Native entrepreneurs have put our volunteers to work in the past on projects like repairing vendor booths, improving parking areas, and landscaping. This year, we will be assisting a small business owner as she prepares to open a bed and breakfast near the Little Colorado River gorge. 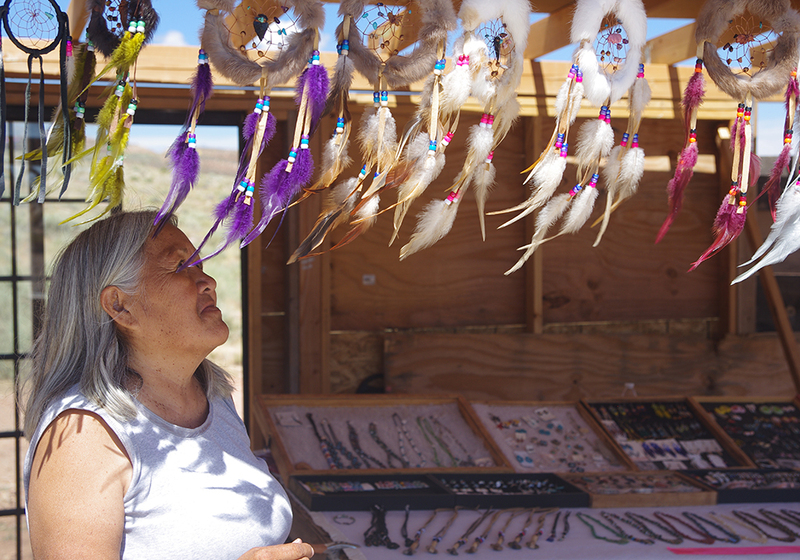 Learn more about the Trust's work supporting native entrepreneurs through the Native American Business Incubator Network, Diné Innovative Networks of Economies in Hózhó L3C. For 40 years, a federal policy called the Bennett Freeze banned development on 1.6 million acres of tribal land in northeastern Arizona. Now that the ban has been lifted, the Trust is supporting economic development and tourism in the region that is consistent with cultural and community values. Our volunteer program is helping artists, vendors, and small business owners build the infrastructure they need to grow their local economies. 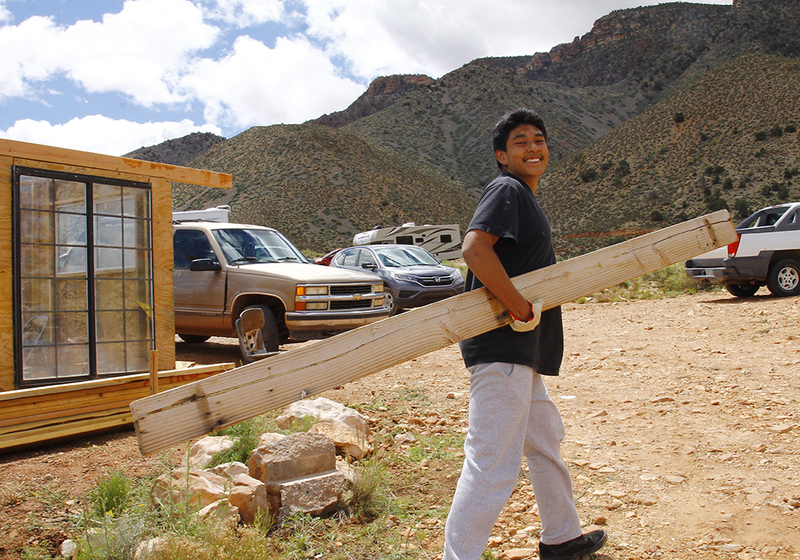 Building up businesses on tribal lands near the east entrance of Grand Canyon National Park. Tribal lands abut Grand Canyon National Park, yet the Navajo Nation captures only a small portion of tourist dollars flowing into the region. 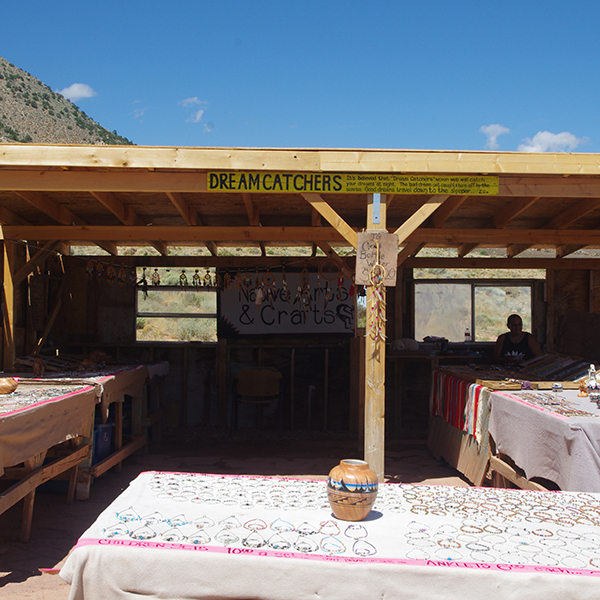 Vendor booths along Highway 64, where artists sell jewelry and other authentic Navajo crafts, were in need of repairs after years of withstanding stiff winds. Student volunteers gave the vendor booths face-lifts, taking down old lumber, building new booths, moving rocks, and picking up trash. 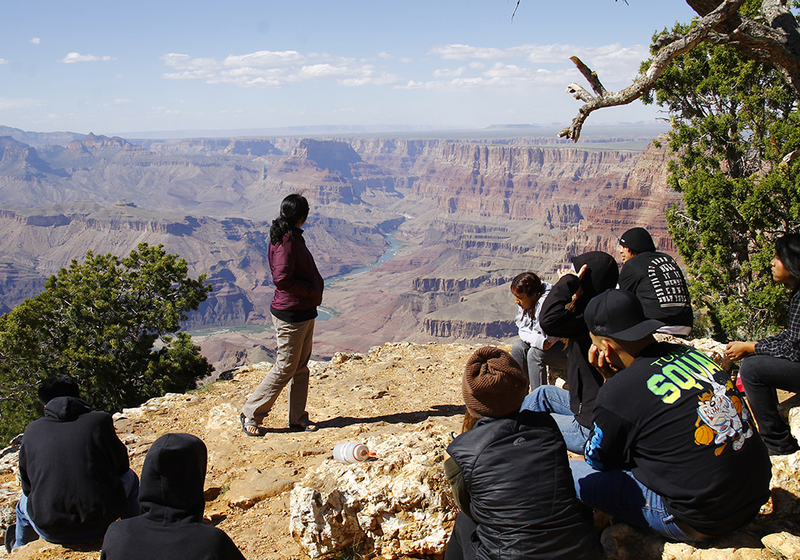 Small-scale, community-driven economic development on tribal lands offers an alternative to mega developments, like the Grand Canyon Escalade, that don't align with cultural values.